A trip to Bali isn't complete without visiting Ubud. A spiritual and magical Indonesian town located in the midst of tropical Bali, Ubud can be found amongst world heritage protected rice paddies and steep ravines in the central foothills of the Gianyar regency. What I loved most about Bali, and especially in Ubud, were the beautiful locals. They let me explore their traditional homes, meet their families, assist them with their daily offerings and showed me how they make organic tea and coffee. To say I left my heart in Ubud is an understatement; it captured my imagination like nothing else and left me feeling extremely content and peaceful both on the inside and the outside. How to get there Getting to Ubud is really easy by motorbike or mini bus on a tour. Located 35km from the airport, it has a population of 30,000 locals. The main street is Jalan Raya Ubud (Jalan Raya means 'main road') which runs through the centre of the town. Where to stay Accommodation in Ubud varies from cheaper hostels to five star yoga forest retreats; there literally is something suited for every budget. 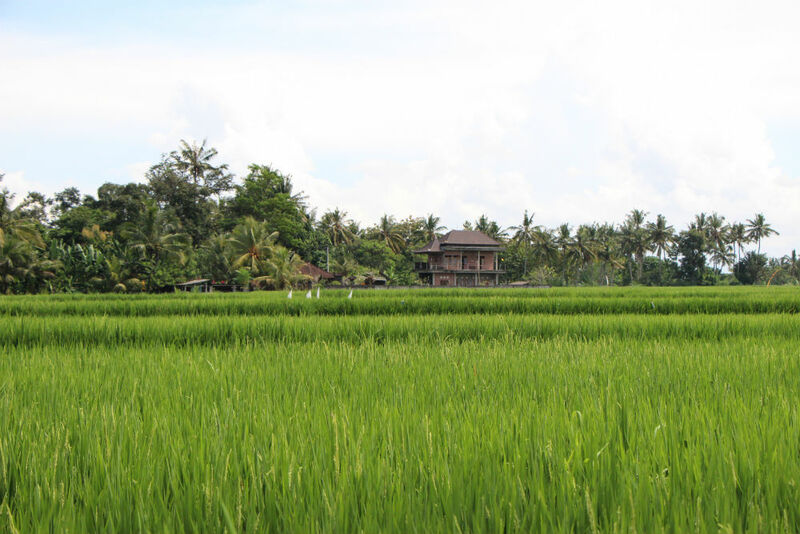 I was in Ubud for just the day, but I have been told by friends that the retreats hidden amongst the rice paddies and tropical forests on the outskirts of Ubud offer the most luxuriating experience for half of what you'd pay for here in Australia. What to do There is plenty to do in Ubud, but if you are there on a daycay or for a weekender make sure you have lunch amongst the surrounding rice paddies, visit the Monkey Forest and stare in wonder at the Ubud Palace. If you do venture into the Monkey Forest make sure your bags and backpacks are firmly shut, you're not wearing any sunglasses or hats and that you don't have any food on you. Which also roughly translates to 'do not buy any bananas when you enter the forest'. The monkey's are super cheeky and will stop at nothing to steal from you and jump all over you to get a banana. Ubud is also known as the art epicentre of Bali and is famous for it's artists and paintings. Neighbouring villages in the Ubud area each specialise in hand making certain crafts and passing these traditions from one generation to the next; including wood and stone carving, furniture, painting and many more.